Ben Johnson’s latest package walkthrough, this time focusing on fmt which provides ways to format output, interpolate variables into strings, and more. It’s early days and OS X only for now, but this is a Go library for managing windows, menus, dock icons, desktop notifications, while providing a Chromium webview component. In 28 minutes, learn to write Go functions in assembly: covers the basics such as syntax, function arguments and stack management. 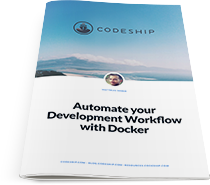 Learn how to use Docker to solve the problems of inconsistent environments on varying deployment targets and how to build an app to run inside an isolated Docker Container. Go’s new sync.ErrGroup package can significantly improve developer productivity with goroutines. Provides a way to quickly incorporate C libraries into your Go projects using cgo. He comes from MongoDB & Docker and wants help to steer the Go ecosystem in the right direction. A conceptual ‘onboarding’ process for introducing new users on how best to use Go. A short collection of tips and tricks showing how Docker can be useful when working with Go code. Let’s write one in Go from scratch. 22 minutes. Filmed at this year’s Golang UK Conference 2016. 25 minutes. A brief look at the state of play, roughly half way into Go 1.8’s development cycle. Moq is an interface mocking tool for go generate. A rough draft of an idea to see if it resonates with Go developers. Gorgonia is a library similar to Theano or TensorFlow, but in Go. Here’s the accompanying blog post.